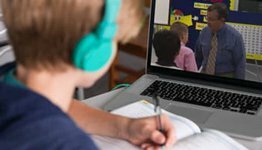 Abeka's renowned second-grade language arts program seamlessly integrates and balances the learning of language subject matter with the development of language skills. The conveniently prepared instructions will help you teach/review phonics, reading, spelling, language, and poetry. Your child will also make great progress in the skills of cursive writing, oral reading, oral communication, and logical thinking. 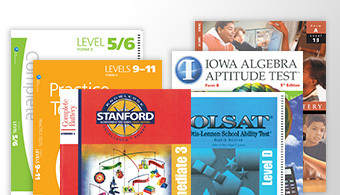 The Grade 2 Language Arts Child Kit contains texts and correlated assessments for the grade 2 language arts curriculum—16 items total. 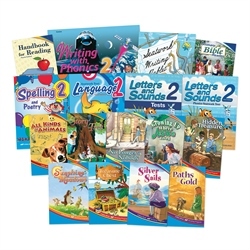 Combine this kit with the Grade 2 Language Arts Parent Kit, and you can confidently teach and guide your second grader through a year of academic excellence in language arts from a Christian perspective. He will be building a foundation for lifelong learning and success. 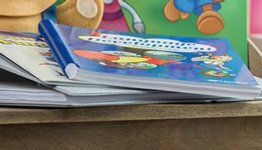 Phonics—Daily practice during the first semester helps your child reinforce the phonics concepts that develop his reading skills. By second semester, the plans allow for phonics reinforcement as needed, but the emphasis is on application. Reading—Your child will read aloud a total of 10 books containing classic and modern stories and poetry that apply phonics sounds. He gets to read his first chapter book as well as narrative scripture from the King James Bible. Language—Your second grader will know how and when to capitalize, how to write complete sentences and even short stories! Spelling, Vocabulary, and Poetry—The 32 phonics-based word lists with activities reinforce reading skills and teach spelling. Starting second semester, vocabulary words complete with definitions are added. And he will memorize 7 delightful poems! Penmanship—Whether your child is being introduced to cursive or continuing to master it, second-grade penmanship practice will produce good results! It begins with cursive letter formation integrated with phonics application. Before long, your child’s cursive writing practice will lead to creative writing and journal writing.